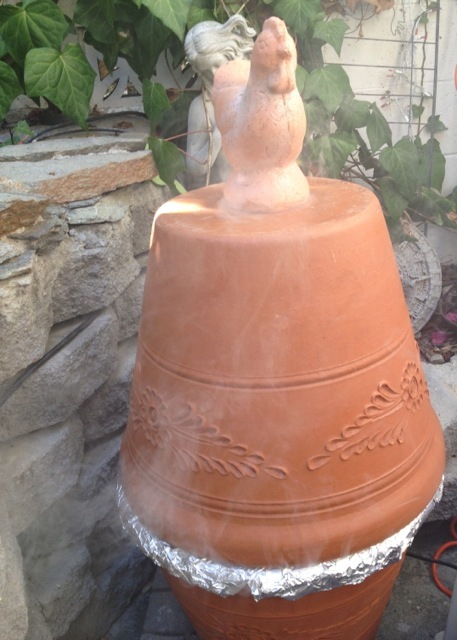 The original DIY Ceramic BBQ Pot Smoker. Using Ceramic instead of Metal takes you a step closer to the old traditions of cooking in Brick Pits or burying Underground. The electric burner provides constant heat for hours and hours of Low and Slow cooking, with no Fluid or Propane necessary. It all started innocently enough. Having mastered many methods of Grilling, Barbecuing and Smoking food, our superhero TasteeBQ was in the mood to try something new. 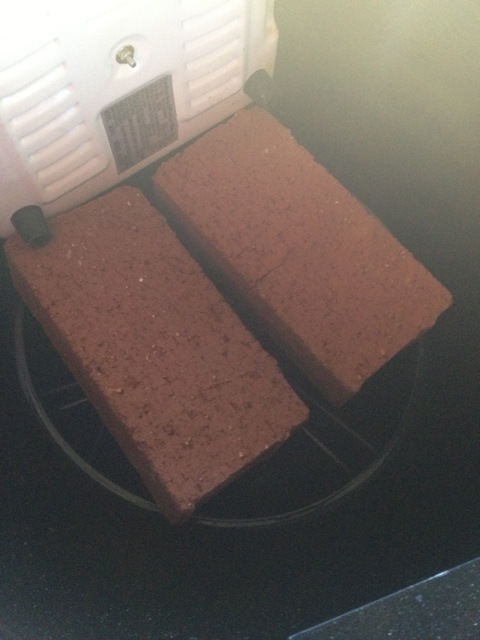 He had read about Alton Brown’s $50 Ceramic Flower Pot Smoker and decided to build something similar to try at home. The experiment was going well. The new DIY Ceramic BBQ Pot Smoker had beautifully cooked some juicy 11 Hour Smoked Pulled Pork and tasty 16 Hour Smoked Ribs. 16 Hour Smoked Spareribs came out juicy and delicious. Full of Mesquite and Hickory flavors. Then… Sirens! In came those do-gooders who quash cooking fun, everywhere- the Food Police. Yes, they are apparently done with Emeril, and are now coming after TasteeBQ. Its seems that Flower Pots and Bricks are not labeled “Food Grade”. For the sake of public safety and (his own health), TasteeBQ decided to take the experiment in a different direction. Not sure when people started to require a Food Safety label on every cooking implement around the world. Most of the U.S. Food Labeling Laws kicked in somewhere around 1965. Before then, the use of clay and ceramic was based on “Survival of the Fittest” (or “Best Pottery”). Most civilizations seem to have survived with untainted Earthenware. Due to lead concerns, it is still good to test your Earthenware, Terra Cotta Clay and Ceramics for it’s presence. We tested our DIY Ceramic BBQ Pot Smoker with a Home Test Kit and it passed the test for lead. 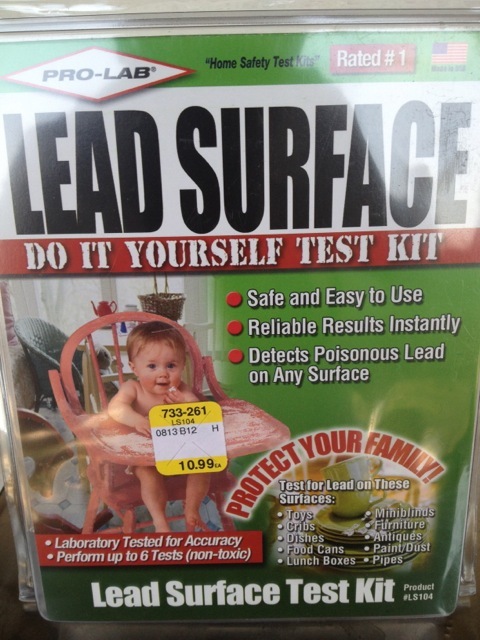 Home lead Testing Kit was affordable and easy to use. We passed! The advantage of the Electric/Ceramic technique is that it allows Low and Slow cooking with no fuss. No Propane, Charcoal, Lighting Fluid or other Accelerant is needed. 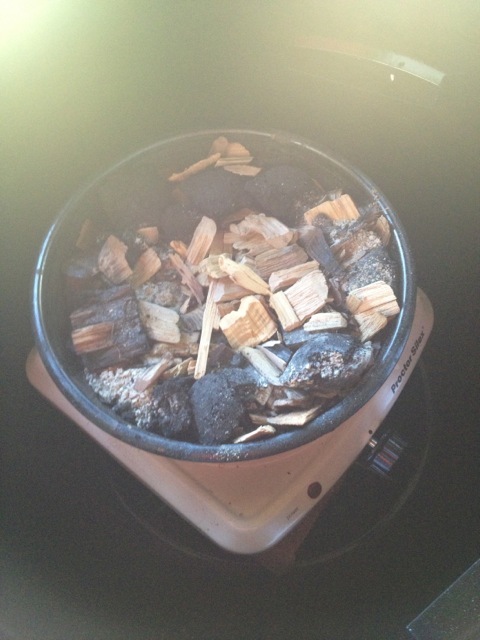 Just a metal tray of Wood Chips, Chunks or Dust and an Electric Burner. 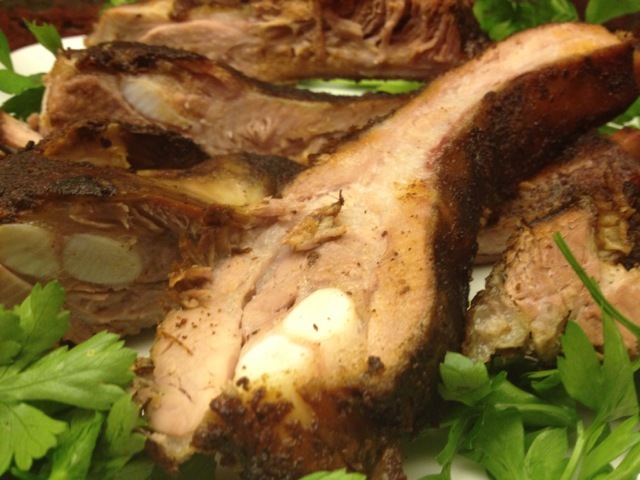 As a follow-up test, TasteeBQ smoked Ribs on the Ceramic Pot Smoker for 16 Hours. They came out tender, juicy and delicious. 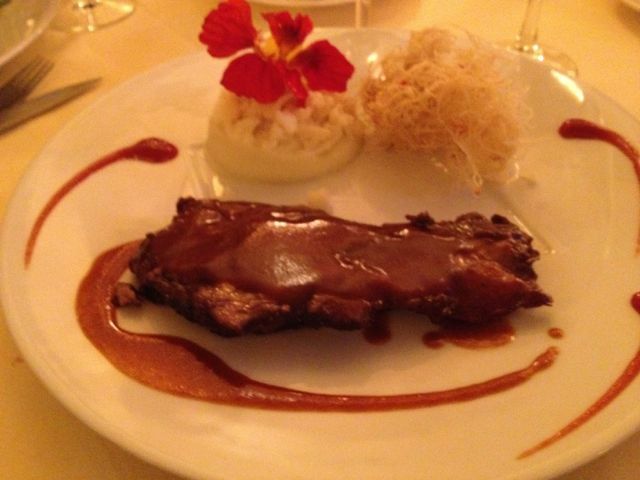 A couple of days later, he finished the leftover Ribs on an indoor Gaggenau Grill and they were still fantastic. Reheating 16 Hour Smoked Ribs on built-in indoor Gaggenau. Indoor Grills are fast and convenient to use, but cannot replace and Outdoor Smoker or BBQ Pit. To play it safe. TasteeBQ decided to convert a relatively affordable Kumado Ceramic Acorn Smoker by Char-Broil. Here are the adjusted Instructions and a Recipe for Smoked Cod. Enjoy. Kumado Acorn Smoker Grill by Char-Broil. Sorry so dark- enclosed patio is cool, but no Sunlight. The $299 price tag at Loews still makes it a bargain compared to the $1000+ for the Ceramic Giant Egg. Placing two Terra Cotta Bricks on rim for bottom Charcoal Grate. 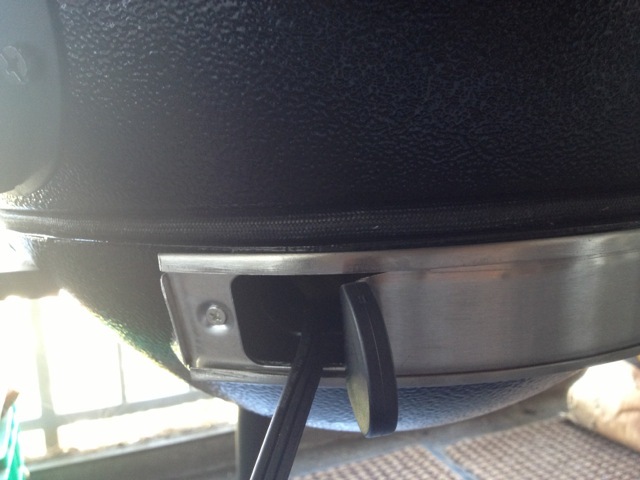 Omit the small Grate so cord has free access to bottom vent. Rest Electric Single Burner on top. 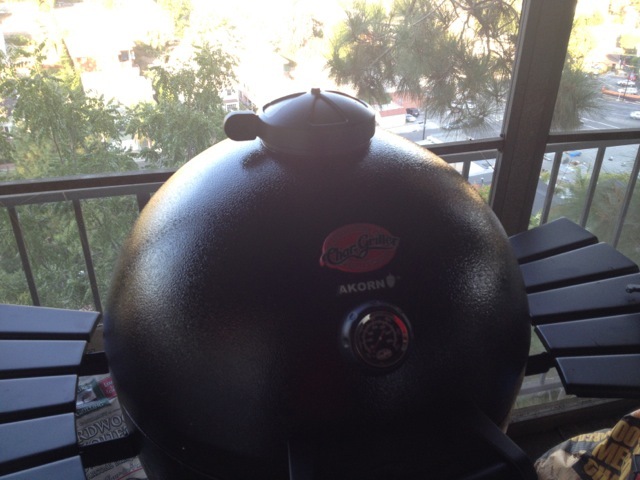 It was easy to convert the Kumado Acorn into an electric Smoker, once it was assembled. We simply relocated the Bricks, Burner and Wood Chip Pan. Place metal pan with Wood Chips on top of Burner. 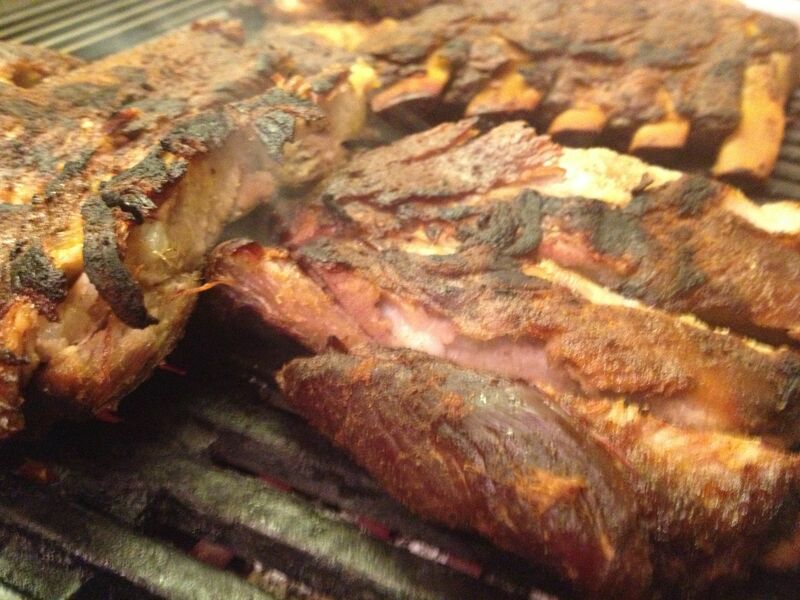 We used Hickory, Mesquite and optional Charcoal for nice mix of flavors. Make sure you have access to Control Knob for Burner. The Acorn even comes with a bottom vent the right size to pass through the cord- so no drilling is required. It is really convenient way to cook. Just plug in it, turn it on High and walk away for a few hours. Built in vent is perfect size for cord. Close tight to maintain heat/ smoke before using. Smoked Cod is served with Buttered Rice and Asaparagus. Rosemary Sprids add flavor while Smoking. Great for garnish. remove stems to make edible. Olive Oil, Butter, Salt and Pepper to Taste. 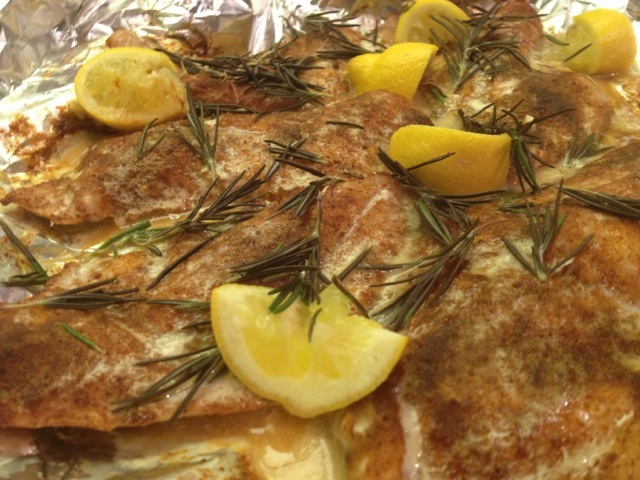 Marinate Cod for at least a 1/2 hour in Olive Oil, Butter, POWER Rub and Salt & Pepper to taste. Plug in DIY Smoker. Let it heat up for 5 minutes. 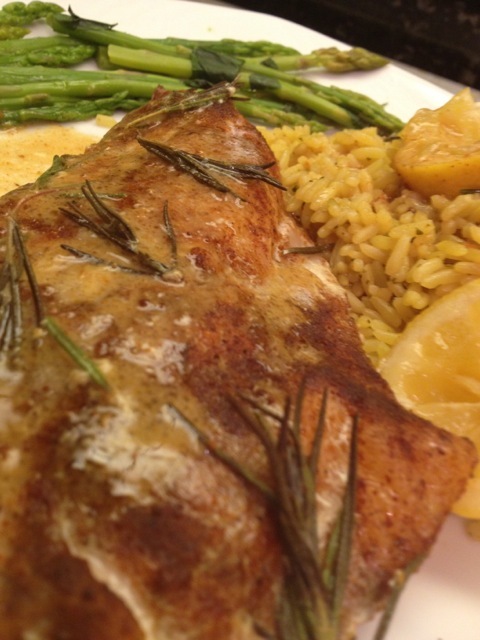 Place Cod on Foil or Grill safe pan. Smoke for 2 1/2 hours until fish is juicy and opaque. Foil tray of Smoked Cod Fillets with POWER Rub, Butter, Lemon and Rosemary.